I keep telling you guys to read this thing. What do you I have to do, send out free copies? 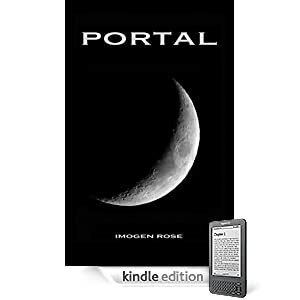 I’ve got ten free copies of the KINDLE edition of Portal to give away. She suddenly found herself in the past. In one moment she went from being an ice hockey playing teenager in New Jersey to a glamorous cheerleader in California. She found herself transported from a happy life with her dad, Dillard, to a new, strange one living with her mother whom she hates. Apparently it’s a life she’s always lived in. Everyone knows her as Arizona Darley, but she isn’t. She is Arizona Stevens. PORTAL is the story of the repercussions of Olivia Darley’s attempt at creating a perfect world for herself and her children. Arizona’s quest for answers threatens to undermine the seemingly perfect world that her mother has so carefully constructed. PORTAL is the first book of the Portal Chronicles. Fans of time travel, romance, and the supernatural will enjoy Arizona’s quest for answers. You’ll get one chance for the comment and one chance per link; limited to one prize per person. Comments made after 9am on December 8th will be excluded. 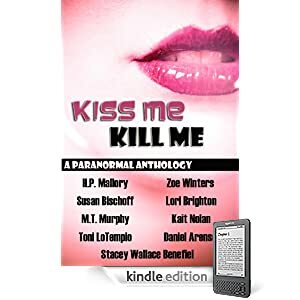 The prizes will be sent out tomorrow morning using Amazon’s Gift as a Gift feature and the email address associated with each winner’s comment.